Committing a significant level of resources to dealing with hazardous materials can be difficult for small companies. Learn to focus on developing an accurate inventory and gain a strategic advantage. Today most large organizations that must deal with hazardous materials follow a time-honored process for identifying critical compliance needs and spend the money necessary to make it work. However, committing this level of resources can be tough for smaller companies. 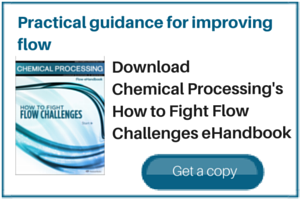 The challenge is to effectively manage their entire chemical inventory to stay in compliance and avoid the dangers, fines and fees for noncompliance. The big-company process starts with a sophisticated purchasing or procurement system, usually with a module that enables EH&S staff to review and approve all incoming hazardous items. Nothing arrives unnoticed. Next, some type of bar-code or RFID-tagged inventory management system tracks the chemical or product and records data on its location-specific usage. A sophisticated document and data management system that is tied into procurement and chemical tracking handles MSDSs. At the end of all this, the system generates and submits (usually electronically) compliance reports required by the EPA and local agencies. Then management plans are made or modified, staff are trained or re-trained and the company moves forward safely until the next monthly review period. This Utopian view of compliance management has been practiced for so long in so many high-profile companies that it has become the de facto process for managing compliance. In the world most EH&S managers live in, however, the tools and resources just described do not exist. Their companies are forced to manage HazMat with limited budgets, staff, tools and systems. Today companies need to create a new framework that takes into account the whole picture of HazMat compliance and its effect on the organization. They must set their sights and marshal resources in one key area — an accurate, up-to-date HazMat inventory. This inventory becomes the foundation upon which the company manages other critical data and turns those data into knowledge on the hazards present in each of its facilities. This knowledge, when applied on a geographical, functional and hierarchical level within an organization, helps EH&S staff make better business decisions to reduce risk, cost and liability. A good HazMat inventory improves the bottom line and its basics are easy to understand and implement. How often. The frequency with which an inventory should be reviewed will depend on the size of the business and number of locations/departments that contain hazardous materials, the sophistication of purchasing and approval processes, and the expected turnover of materials. In an ideal world, the person responsible for the inventory at a specific location/department should take a master inventory at least annually. Each new purchase or disposal should be tracked and the inventory modified throughout the year. EH&S supervisors at each facility should have pre-purchase review and approval rights for any new product or chemical. Inventories from separate locations within an organization should be rolled up into a corporate-level inventory for analysis and to ensure consistency in process and purchasing. What data to record. At a minimum, record the name and location of each product or chemical, its maker and any part number or description assigned by that manufacturer, as well as the container size and quantity on hand. These basic data will enable EH&S staff to match the item to an MSDS, which can provide all the critical data needed for reporting and exposures. Problems. The staff conducting the inventory may come across unlabeled, illegible and inadequately labeled secondary containers. Record these items in a separate “discrepancy” document, with their specific location and description; then physically flag each item with stickers, labels or string that is easily visible. Review the discrepancy document at the completion of the inventory to determine appropriate actions such as re-identifying products with appropriate labels or removing products from the facility. Once you obtain an accurate inventory, it is possible to begin to add value to each record by associating other data, documents or records with each item and supporting this information with on-site EH&S staff or outside resources to assist employees in use and interpretation. This is an important step in seeing the whole picture. MSDS. Associate each item in the inventory with a manufacturer-specific MSDS and make the inventory list and MSDS easily accessible by employees. The MSDS provides vital information about exposures and the specific characteristics of the chemicals in a product or mixture. Many companies keep the inventory list and corresponding MSDSs in a file — hard copy or electronic — forever to meet OSHA’s exposure record-keeping requirements. A process for obtaining new or updated MSDSs will be required as products change or MSDSs go out of date. Classification. Assign each item in the inventory a National Fire Protection Agency (NFPA) and Hazardous Materials Identification System (HMIS) rating and classify them for common modes of transport. NFPA is a system for identifying the hazards of a chemical that was developed with the needs of fire protection agencies in mind. The local fire department may require this information be provided along with the chemical inventory. The HMIS rating is a labeling system developed by the National Paint and Coating Association to help quickly identify the hazards associated with a given material. Inventory items should also receive a classification based on how the item is shipped, whether by ground, air or sea. Each mode requires a different classification based on the size and quantity of the chemicals being transported. Shipping. Each item that is placed on a truck, boat, rail car or plane requires appropriate classification, packaging, marking, labeling, and placarding. Classification involves identifying the transportation hazards associated with your inventory in accordance with 49 CFR HMR, IATA or IMDG code requirements, depending on the mode of transportation. Instructions also will be needed on how to properly package different types of hazardous materials, what marking and labels go on the package, which placards appear on the vehicle, how to complete the required shipping documentation and who to call in a transport emergency. Why is the inventory so important? Because, with so many companies doing inventories so poorly, a company that does it right gains a significant strategic advantage. When analyzed, the size and diversity of hazardous products within an organization is almost always a surprise. Unfortunately, because EH&S staff and managers haven’t seen the whole picture, the result is misguided programs, misleading reporting, insufficient training and poor decision-making. MSDS compliance. MSDSs won’t be available when needed or may contain outdated information. Staff may be spending valuable time and resources acquiring and maintaining MSDSs for products that aren’t really used or stored on site. At the same time, if MSDS files are used to maintain a firm’s 30-year exposure record, failing to archive outdated MSDS could indicate chemical use when there was none, thus increasing potential liability. Chemical exposures. On-site data may not be available for the chemicals to which an employee is exposed. If the data are provided, they may refer to a previous or generic version of the product, increasing the likelihood of mistreatment. Transportation. Products may be improperly classified for shipment due to out-dated information. This directly impacts the safety of the product in-transit, as well as the safety of the transporting vehicle (air, ground, sea) and its driver, crew and passengers. If an in-transit incident occurs, emergency crews will be ill-prepared to respond if working with incomplete or misleading information. Disposal. The designated budget for disposal may be inadequate if it doesn’t account for all items. Likewise, contingency planning for emergency response will be incomplete. Regulatory reporting. Sensitive chemicals (such as those on the SARA 302 Extremely Hazardous Substances List) may not appear on reports. Items listed on the inventory but not actually used or stored on site could push amounts over thresholds that trigger greater reporting burdens and unnecessarily lead to higher fees related to the amount reported. Training and preparedness. An incomplete inventory means that employees may be unaware of all the chemicals in their workplace. This can significantly increase the risk of exposure or injury and the related cost of treatment. Lack of related inventory data, such as MSDSs and storage quantities, can also mean that all hazards are not properly evaluated. MSDS compliance. Site-specific MSDSs are not immediately available or are completely unavailable. In a true emergency, such as ingestion, inhalation or exposure, treatment information contained on the MSDSs will not be accessible by responding personnel. The company is then out of compliance with the Hazard Communication standard, which requires employee access without barriers to MSDSs, and risks an OSHA citation. Chemical exposures. If a company is unaware of the specific hazards at a given site or within a department, it may be unprepared to respond to employee exposure or injury. In addition, it may lack proper personal protective equipment, eyewash stations or containment tools in place for the specific chemicals. Transportation. Shipping personnel may be inadequately trained on the types of chemicals and products they are shipping. This can delay shipments or cause them to go out improperly labeled, packed and placarded. If shipping by ground, the drivers may be unqualified to transport the hazardous materials. Potential fines for non-compliance, from the DOT and FAA, are large and can be assessed on individual executives. Disposal. Established processes for handling specific waste streams may be inadequate. This could lead to waste being on site longer than necessary and, thus, higher risk and cost. Uncertainty about what exactly is in a company’s waste stream may result in using waste contractors without proper training, certification, tools and insurance. Likewise, a company’s own staff may not have the training and tools to manage the waste they are generating. Regulatory reporting. Using a “master” report, based on one location as representative of all locations, may cause some chemicals to be reported unnecessarily. This could also trigger additional local or state reporting and their associated cost. The reverse is also true — a “master” report could leave some chemicals unreported, increasing risk and opening the company up to potential fines. Training and preparedness. Lack of understanding of the exact nature of the hazards at a specific location makes proper training impossible. Locations where the amounts of hazards have been underestimated won’t have enough training. This is amplified in situations where substances that require unique handling procedures, such as lead and mercury, are found on-site. Over-training, which unnecessarily increases costs, can also occur. Simply starting with an accurate inventory can result in more wins under your belt. By focusing efforts on gathering and analyzing the right information, EH&S personnel can impact the cost to acquire, track, store, ship and dispose of hazardous materials and improve the HazMat understanding among employees throughout the organization. EH&S departments are winning every day because they are looking at the right data and making good decisions. Strive to become one of them. Jess Kraus is founder of 3E Company, Carlsbad, Calif. E-mail him at jkraus@3ecompany.com. Michael Beckel is manager of consulting services for the firm. E-mail him at mbeckel@3ecompany.com. Dumping sites and stockpiles of chemical weapons come under close scrutiny.